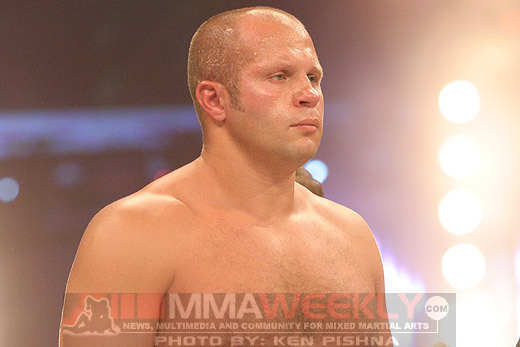 Former heavyweight king Fedor Emelianenko will return to action this summer, but as most people should already know, it won’t be in the UFC. The one time Pride heavyweight champion will next fight on June 21 in his native Russia, according to M-1 Global Director of Operations Evgeni Kogan. Kogan released the news via Twitter on Friday. “Fedor Emelianenko fighting on June 21, Ice Palace, St. Petersburg, Russia. News on the opponent to come,” wrote Kogan. The Russian legend last fought at the New Year’s Eve show in Dream to close out 2011, where he defeated Satoshi Ishii by knockout in the first round. 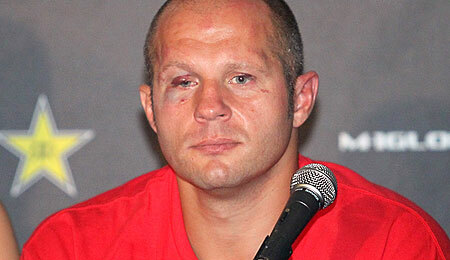 It was Emelianenko’s second win in a row following three straight defeats that ended his career with Strikeforce. In recent interviews, Emelianenko has mentioned the possibility of returning to the United States to fight, and also how most of the top heavyweights currently reside in the UFC, but UFC president Dana White made it clear they have no interest in signing the former heavyweight king. Instead, Emelianenko will fight in his native Russia under the M-1 Global banner once again. As noted by Kogan’s message on Twitter, no opponent has been named as of yet, but with the event so far in the future, there’s no telling on how soon they may secure a fighter to face Emelianenko in Russia.